You know when you surf the Web using your trusty Web 2.0 browser, Mozilla Firefox or Internet Explorer, or whatever it is that you use; and you navigate your way around, by typing in the HTML address of the website, which you would like to visit? Not many know this, but the software which provides the address bar, was invented by an 18 year old Israeli, named Aviv Refuah. All of the Internet giants have been using this software to create their programs for the least ten years. Now, they just may have to start paying up, because the patenting license submitted by an 18 year old Refuah, has just been approved! While neither Aviv, nor the 55 employees of his company, Netex, have received a penny in licensing proceeds, so far; the value of the company’s stock jumped 144% on the Tel Aviv Stock Exchange. The 18 year old Refuah submitted his brain child for patenting and really changed the face of web browsing, then went and joined the Israeli Army. Now 10 years later, the 28 year old Israeli is the CEO of a company that is worth $20,000,000. Currently the employees at Netex are working on an idea called, Springo.com. Springo is designed to make web browsing faster and easier, by providing instant links for the hottest social networking, online shopping, news, maps and email sites. The site’s ‘header’ reads: Springo beta/Shortcutting the Web. We will look to Refuah as an example of Internet justice, now that his U.S. patent has been rightfully claimed. And we will look to Netex as a future spring board of big ideas; and a juicy baby tech company, undoubtedly causing the big corporations to lick their chops. 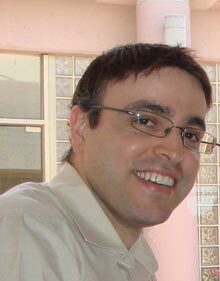 This man, Dr. Alon Monsonego of Ben Gurion University, could be the face put on a real, workable Alzheimer’s vaccine. Alzheimer’s being one of the scariest, most devastating mental diseases imaginable where you pretty much die before you die since your mind is practically erased, this is very encouraging news. That, and cases have increased by 33% since 2005, with over 36 million people expected to be diagnosed with the disease this coming year. Alzheimer’s destroys the sufferer’s brain by building up plaque deposits in the brain tissue and replacing grey brain matter with chunks of amyloid-beta protein, which gathers like tartar on your teeth. Except it’s in your brain. It starts with memory loss and progresses all the way to total bodily breakdown as the brain literally melts away. Monsonego determined that introducing A-beta protein into the brain, the very protein that causes the disease, triggers a natural immune response which can be detected in humans. “Stimulating an immune response to A-beta in these humanized mice not only resulted in a highly efficient clearance of A-beta (plaque) from the brain, but also in a markedly reduced inflammatory reaction,” he said. More research will be needed to ensure that the vaccine is safe before it can be marketed. A few years ago, an Israeli company had received a patent on an Alzheimer’s vaccine, but the vaccine was determined to be too dangerous for human use. We’ll see if this one is safer. Wow. These Israeli inventions just keep coming, don’t they? We’ve heard of cancer sniffing dogs, so why not program some artificial intelligence to do the same thing? Revealed this week in Nature Nanotechnology journal, the “cancer breathalyzer” can detect lung cancer with 86 percent accuracy. It can even detect cancers that are not even large enough to show up on X-rays or CT scans. Detecting cancer that early could really save lives. The wonders of affordable technology! How does it work? It tests for chemicals that are produced in cancer cells. They are ethylbenzene, decane, heptanol, and trimethylbenzne. From what I remember from my organic chemistry days, these are all very flammable, but no, the detection does not involve attempting to set a patient’s breath on fire. There isn’t enough of it for that. Decane is a very long chain of hydrocarbons (ten carbons long actually) found in jet fuel, and heptanol is a 7-carbon chain with a hydroxide group at the end, making it an alcohol. Ha, college. 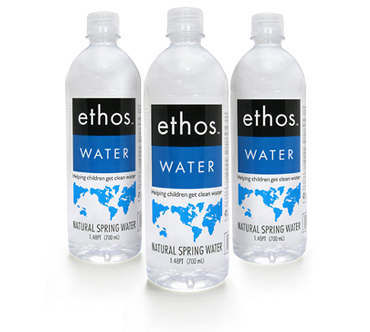 The alcohol we drink, ethanol, is a 2-carbon alcohol. Don’t drink heptanol. It won’t make you any more drunk, but it will likely cause you, in drinkable amounts that is, to become dead. The chemicals are detected using gold nanoparticles and an electric circuit. If the breath contains heptanol etc, the circuit goes off. The research team was led by Hossam Haick, an Israeli Arab, pictured here, also the inventor of the electric nose. Haick and his team have patented their device, but will continue to work to perfect it. The device must pass further clinical trials before being put to use. Good job Hossam! It’s time for another installment of “Israel Invents Something Cool That the World Will Definitely Need.” This week’s feature is the biodegradable plastic bottle made out of corn starch. Most plastics are made from an oil base, which makes the molecules artificial and non-disintegrating, so then you need the mafia to recycle them and it doesn’t get pretty. Plastic made out of corn starch, once buried, gets eaten by bacteria and the nutrients redispersed into the earth once again. No need to recycle, assuming you dispose of it properly. Coming out of a manufacturing company based in Kibbutz Ashdot Yakov the Israeli version is believed to be the world’s first to produce disintegrating bottles with disintegrating labels as well. The bottles are scheduled to be distributed to guests of next week’s Plasto Ispak plastics exhibition at the Israel Trade Fairs and Convention Center in Tel Aviv, a batch of the first 5,000.